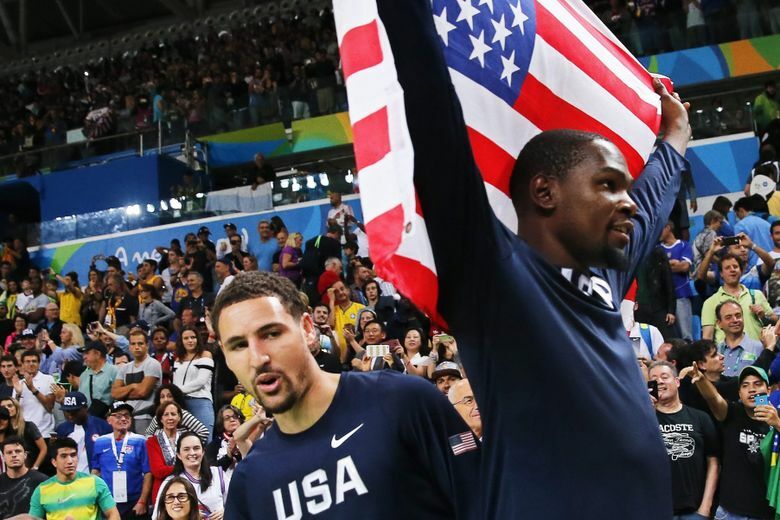 RIO DE JANEIRO — The U.S. Olympic men’s basketball team ended up right where expected. The Americans got their gold, and they did it easily. 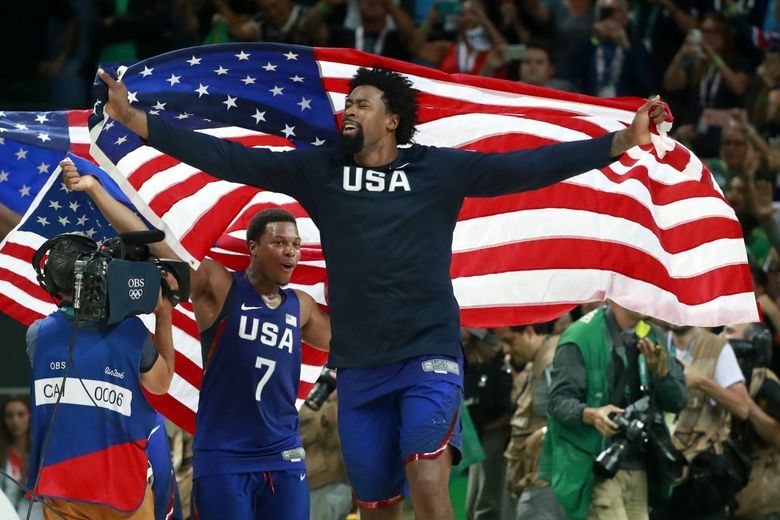 Saving their best for last in a tournament that had been tough, the U.S. convincingly won its third straight gold medal, beating Serbia 96-66 on Sunday. After a few close calls earlier in the Olympics, this was no contest. 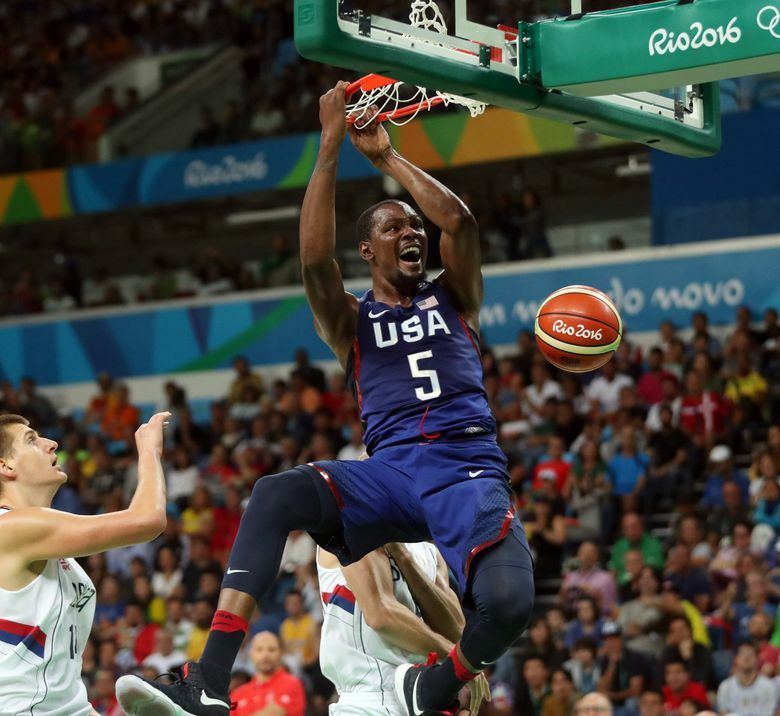 Kevin Durant scored 30 points and helped the Americans jump out to a huge lead by halftime. Paul George said he and his teammates took out their frustrations on Serbia after hearing all the talk about them being less talented than previous U.S. squads and not blowing teams out. “We did a good job of bottling all that up and unleashed it on Serbia,” George said. The Americans haven’t lost since, winning 25 straight in the Olympics. A few of the victories were more difficult than usual in this tournament, where half the Americans’ eight games were decided by 10 points or fewer. Krzyzewski said it didn’t matter how the Americans won, that there would be no questions as long as they did. He had also scored 30 in the 2012 gold-medal game, after he poured in a U.S.-record 38 in one game en route to the MVP of the 2010 world basketball championship. He is already the Americans’ No. 2 career scorer in the Olympics in just two appearances. It was a tough ending for after an impressive run for Serbia in its first Olympics as an independent nation. The heart of an international power in the former Yugoslavia, the Serbs hadn’t qualified for the Olympics since gaining their independence in 2006. They were down just 16-15 before Durant made a 3-pointer for the final points of the first quarter, and before then knew it he had turned the game into a blowout. 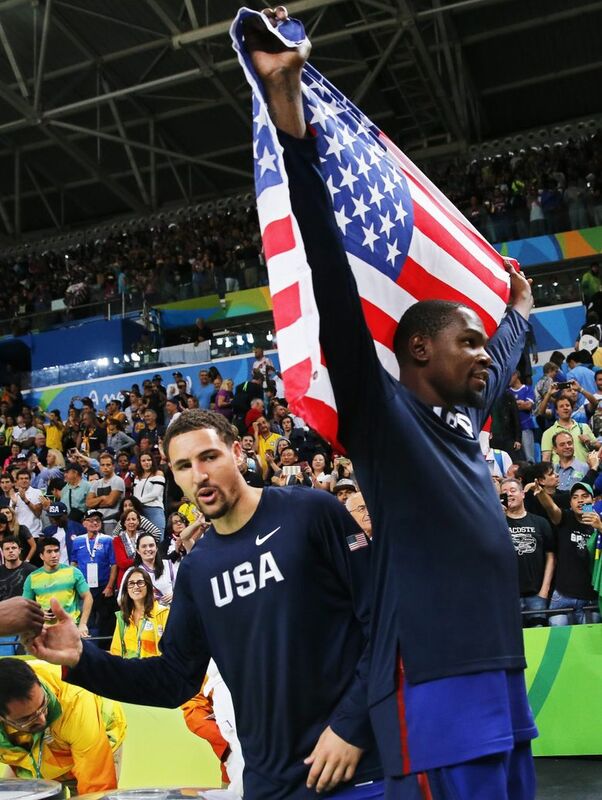 Two 3-pointers before a steal and dunk pushed the U.S. lead into double digits, and when he capped what may been the Americans’ best possessions in Rio, when they whipped the ball from side to side around the perimeter until it ended up in the hands of Durant, and then in the net. That 3 made it 52-29 over the stunned Serbs. A challenging year for the Americans started long before they boarded the cruise ship they stayed on while in Rio. For the first time since 2004, many top American players opted to skip the Olympics, forcing them to bring some here who wouldn’t have been considered otherwise.